Family-owned organic market and eatery slash neighborhood social club! After the Toy Factory and Biscuit Company Lofts created an instant neighborhood, the growing population of the Arts District revealed that there was no place to buy quality groceries without using a car to drive to a large supermarket. The developer entity decided to convert an all metal shed in a parking lot into the first neighborhood grocer. 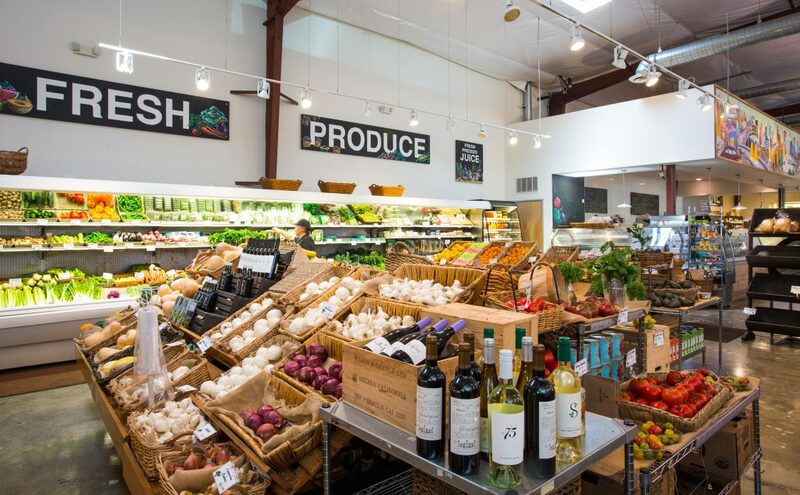 Although the size of the population did not justify its own market, Keri Johnson’s concept of Urban Radish fit seamlessly into the community’s need for a local and organic food destination. These days, Urban Radish functions as a semi-official neighborhood hub; a place to meet friends and neighbors on Wednesday’s Jazz Night, grocery shop, or hold a meeting. Check out more of what they have to offer here.